A Darlington pub landlord who sexually assaulted three women – one aged just 17 – has been jailed for two years and two months. Tony Furphy, who gave his address as the Baydale Beck public house, at Low Coniscliffe near Darlington, was described by all his victims, who cannot be identified for legal reasons, as “arrogant”. His sexual assaults included touching them in inappropriate places and attempting to forcefully kiss them. 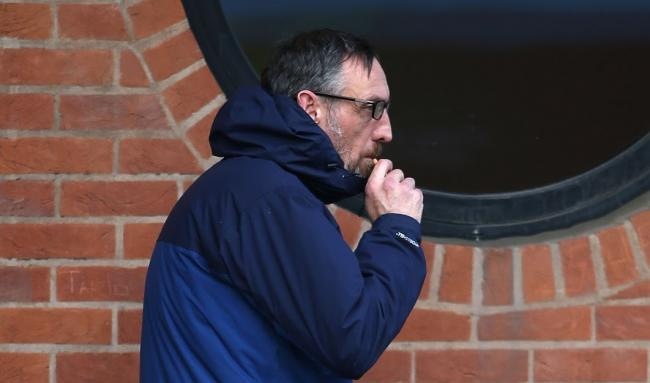 Two, who had inadvertently bumped into him since he was charged, described how he had smirked at them as if he felt he was going to get away with his crimes. All three women read out victim impact statements in Teesside Crown Court yesterday as Furphy was sentenced. A ten-year restraining order banning him from contacting his victims was also imposed. One victim described how she had felt suicidal in the weeks leading up to the trial after being “disgusted” when Furphy, 48, attacked her. “I wish he could stand up and accept what he has done,” she said. “He is not at all remorseful. “I have difficulty going to the town centre and worry about seeing his car. “I have since heard that Furphy tried to say I was in a relationship with him,” she added. “This made me feel sick to my stomach. “The thought disgusts me. He is old enough to be my dad. She said she had passed him since in the street and ‘he waved at me with a smug look on his face’. Another victim said she hadn’t even told her parents about the assault – and police had taken no action when she first reported Furphy, until his other victims came forward. She said she felt it was somehow her fault and now took care what clothes she wore, and was nervous around older men. “I couldn’t believe he was making advances towards me after that,” she said. She also said she had bumped into Furphy in Sainsburys following the assault. “He stood there and stared at me with a cocky grin on his face,” she said. “I was shaking and upset. “He is that arrogant and sure of himself. He is the most arrogant person I have ever met. The third victim said she had been sexually abused as a child and Furphy’s actions had ‘brought it all back’. “Furphy frightened me,” she said. “I was frightened and ashamed to give evidence. All three said the offences had caused them much ongoing upset and anxiety and had an ongoing impact on all their lives. Furphy, who had denied five charges of sexual assault but found guilty by a jury, is understood to be a licencee at the Baydale Beck while his ex wife is the main landlord. The court heard he had since moved out to a rented flat.